Open government data powers software applications that help people make informed decisions on alternative fuels, green buildings, efficiency, and managing household energy. While we can’t and don’t endorse specific apps, below are just a few examples of government, citizen, and business tools that: use open government data from the United States; are accessible, vetted, and available; and are, for the majority, free and do not require registration to use. Submit Energy application suggestions at Contact Energy. For more examples of energy applications made with open government data see OpenEI – Energy Apps Catalog and Data.gov/applications. The AIRNow mobile application provides you real-time air quality information that you can use to protect your health when planning your day. You can get location-specific reports on current air quality and air quality forecasts for both ozone and fine particle pollution (PM2.5). 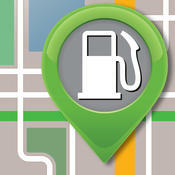 Strategic planning application for reducing petroleum usage through alternative vehicles, fuels, and idling reduction. Interactive application to estimate residential energy use and plan home energy efficiency upgrades. Application that provides electricity generation mix and greenhouse gas emissions information from U.S. utilities.